Continuous inkjet alphaJET evo labels delicious chocolate figures with expiration date. Product variety in terms of shape and design often goes hand-in-hand with a constricted installation situation at the production line. Consumers love choice - that is why it can often be a real challenge for manufacturers when selecting a suitable labelling technology. With its ability to write at an angle of 90° to the direction of motion, Continuous Inkjet alphaJET evo labels transverse to the film run on little chocolate beetles, snowmen and a variety of the most varied miniature chocolate figures. An ink portfolio in different colours and with certified food safety completes the inkjet technology of Koenig & Bauer Coding. Chr. Storz GmbH & Co.KG in Tuttlingen in Baden-Württemberg is a company with passion for high-quality chocolate and nougat specialities. 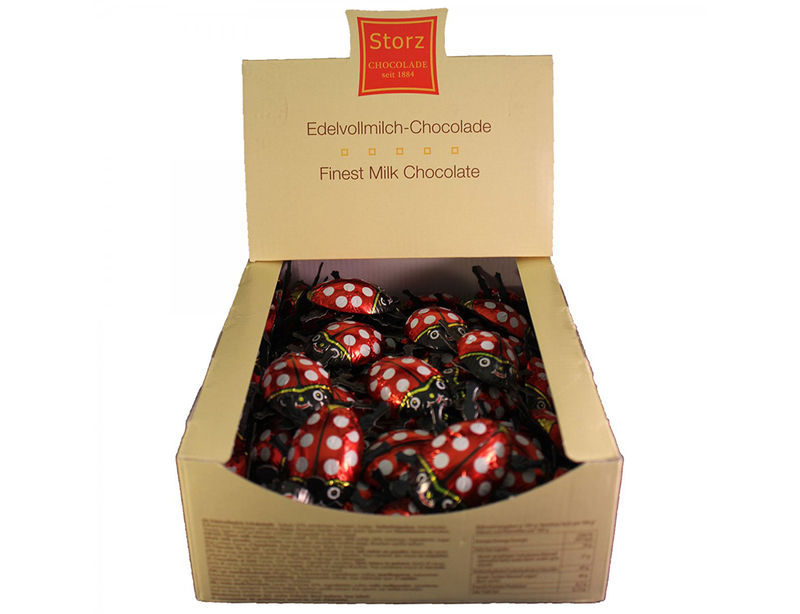 It manufactures pure chocolate following recipes that have been traditionally passed down under the strictest quality conditions. The quality assurance meets the most demanding requirements. There are hardly any limits when it comes to the creative design of our products. 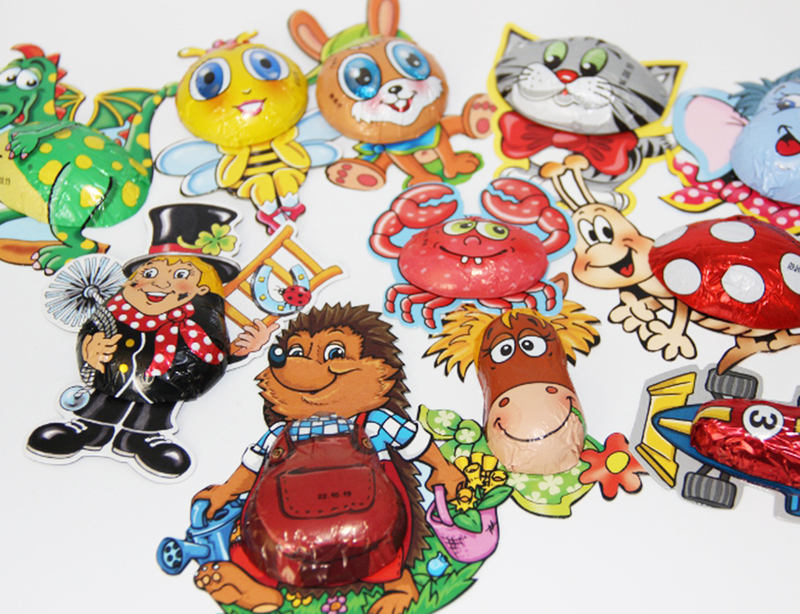 They shine in bright colours and shapes in all kinds of themed worlds, such as Halloween, New Year's Eve, Valentine's Day, Easter and Christmas and as all-year-round products for themes such as happiness, party and the animal kingdom. Not to mention the red ladybugs and golden beetles, which are well known to each and every one of us. "Our customers love the variety of our chocolate figures. That is why, we are looking not just for a labelling device but a universal solution." "The alphaJET evo is clean and reliable. Thanks to its low emission values, it is ideally suitable for use in food environment." 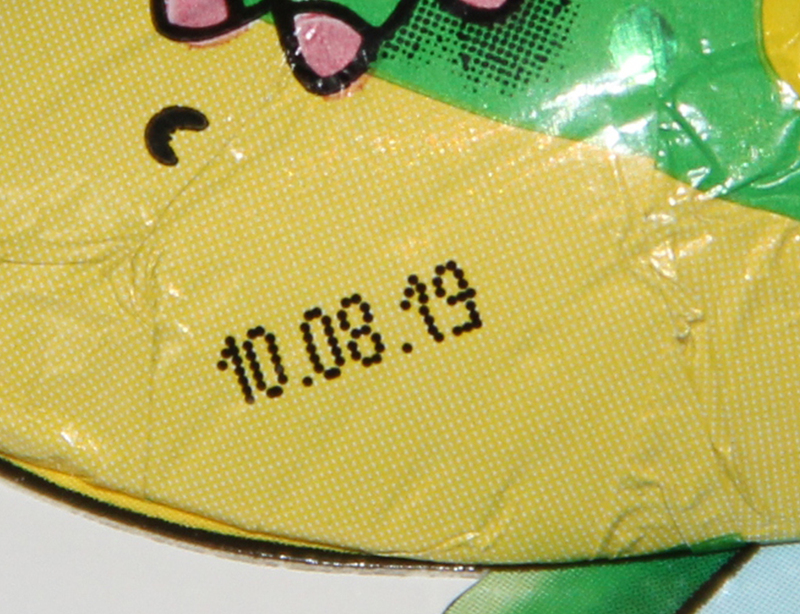 Since a change in the law, individual items in the Confectionery division must also bear the expiration date. Inkjets customary in the market would have had to print across very small-scale products with inline coding in the sometimes cramped packaging lines. This would have ruined the decorative appearance of the chocolate figures. Moreover, the coding solution must be clean since chocolate and nougat is food. Even using the standard model of alphaJET evo, it is possible to print the expiration date in small printing size, rotated by 90° to the direction of motion of the foil. Depending on whether the figures offer a bright or dark printing surface on the colourful designs of packaging foil, several alphaJET evo printers are available for coding with white pigmented or black ink. The inks used are certified for use in direct-packaging of food. Several inkjet systems of alphaJET evo are available today at Chr. Storz GmbH & Co.KG with mobile carts in order to be used at one of the many production lines in case of coding requirement. The printer is connected to the production line by simply using a quick-change chuck for the printer head. The technical expense is low - the flexibility is enormous. Furthermore, the employees of the production department find the fact that alphaJET evo has a hardly noticeable odour extremely pleasant during daily operation. Cleaning the printer and the carriage is very easy thanks as the model is made of stainless steel.